Cromarty Image Library - James Methuen Couper - c1908? James Methuen Couper - c1908? 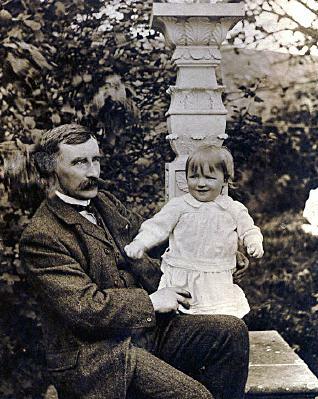 James Methuen Couper with his eldest son James (he died aged only 5) taken in front of Hugh Miller's Sundial. I think this photo is of Walter J Couper, my grandfather's second son, so it would have been taken around 1913.